Print your blog as a book! Home page → Persona → Print your blog as a book! If you are a passionate blogger or a blogger with those quality posts articles (he hee don’t even if you have unreferenced and blogging for blog like posts), you might want to print your blog as a book. Create Your Book! Blog to Print is powered by SharedBook.com where you can print either conventional paper books or digital books of your long lived and successed blog. Simply goto www.sharedbook.com and if you are a blogspot blogger of Google, then you are on advantage because Blogspot blogger has partnered with sharedbook to print the blogs on *.blogspot.com and custom domains, goto http://blogspot.sharedbook.com in the later case. SharedBook offers individual users and website owners a way to collect and publish their photos, stories and data from multiple sources into a book that can be virally relayed or professionally printed into a physical book. Web to Print, Content Transformation, Personalized Books, Annotation and much more. 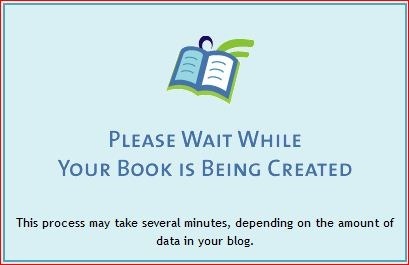 This is a simple guide on how to publish a book from your blog. Blogspot blogger are on the greatest advantage. Next time someone asks “How can I print my blog?” send them to Blog2Print. 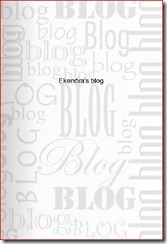 At Blog2Print, you can print your blog and turn it into a professionally-published Blog Book. With just a couple of clicks, you choose a cover, the posts you’d like to include, and you’re on your way to creating a Blog Book of as much of your blog as you choose. You can choose * Cover * Images * Number and Order of Posts * Comments. You can also edit your book, add/remove comments, and add or remove pictures. A 20-page softcover will cost for Blog Book just $14.95, Hardcover only $24.95. And extra pages are only 35 cents! Also get a PDF of your Blog Book for only $7.95. Step 1. 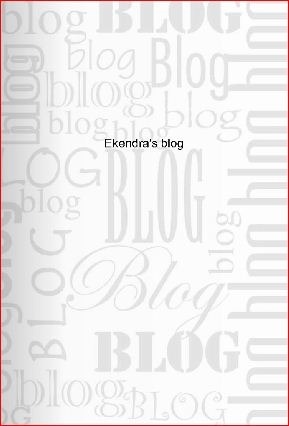 Goto http://blogspot.sharedbook.com , I don’t think I need to write more. Step 2. 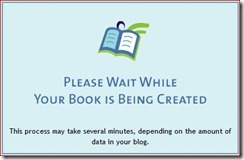 Shared book automates the process of creating books and lets you add to the content as well. So simply fill all the essentials of your blogspot blog. Step 3. Introducing Blog2Print makes it all. So, choose the cover pages and your words for the readers. Screenshots around this post will tell more about the opportunities with the print blog book. Facing - The server encountered an internal error! Solved here. Windows 7 discovered with hundreds of errors - Who says Windows 7 is the best?